Not to be confused with Lev Aronin. Levon Grigori Aronian (Armenian: Լևոն Գրիգորի Արոնյան, translit. Levon Grigori Aronyan; born 6 October 1982) is an Armenian chess player. He was awarded the title Grandmaster by FIDE in 2000. On the March 2014 FIDE rating list, he was ranked number two in the world and had an Elo rating of 2830, making him the fourth highest rated player in history. Aronian won the FIDE World Cup in 2005 and 2017. He led the Armenian national team to the gold medals in the Chess Olympiads of 2006 (Turin), 2008 (Dresden) and 2012 (Istanbul) and at the World Team Chess Championship in Ningbo 2011. He won the FIDE Grand Prix 2008–2010, qualifying him for the Candidates Tournament for the World Chess Championship 2012, where he was knocked out in the first round. He was also world champion in Chess960 in 2006 and 2007, in rapid chess in 2009, and in blitz chess in 2010. Aronian has been the leading Armenian chess player since the early 2000s. His popularity in Armenia has led to him being called a celebrity and a hero. He was named the best sportsman of Armenia in 2005 and was awarded the title of Honoured Master of Sport of the Republic of Armenia in 2009. In 2012 he was awarded the Order of St. Mesrop Mashtots. In 2016, CNN called Aronian the "David Beckham of chess". Aronian was born on 6 October 1982 in Yerevan, Armenia (then part of the Soviet Union), to Seda Avagyan, an Armenian mining engineer, and Grigory Leontievich Aronov, a Russian Jewish physicist. Talking about his background, Aronian stated in an interview, "I feel much more Armenian than Jewish, although there are sides to me which are more Jewish culturally, involving the arts and music." He was taught to play chess by his sister, Lilit, at the age of nine. His first coach was the Grandmaster Melikset Khachiyan. An early sign of his ability came when he won the 1994 World Youth Chess Championship (under-12) in Szeged with 8/9, ahead of future luminaries Étienne Bacrot, Ruslan Ponomariov, Francisco Vallejo Pons, and Alexander Grischuk. Since 2011, Aronian's permanent trainer has been Ashot Nadanian, whom Aronian calls "absolutely irreplaceable". Aronian holds a diploma from the Armenian State Institute of Physical Culture. In 2001 Aronian scored seven out of nine in the Cappelle-la-Grande Open, half a point behind the joint winners Einar Gausel and Vladimir Chuchelov. A few months later, he won the Young Masters tournament at Lausanne. In 2002 he won the Armenian Chess Championship. In the same year he became World Junior Champion, scoring 10/13 and finishing ahead of Surya Ganguly, Artyom Timofeev, Luke McShane, Bu Xiangzhi, Pendyala Harikrishna, and others. Aronian made his debut at the FIDE World Chess Championship in 2004. In the first round, he played and won against Magnus Carlsen who, 13 years old at the time, was also making his debut at the tournament. He progressed to the third round, where he lost to Pavel Smirnov. Levon Aronian became part of the international elite in 2005, shooting up to fifth place in the world. In 2005 he was part of a five-way tie for first place at the Gibtele.com Masters in Gibraltar with Zahar Efimenko, Kiril Georgiev, Alexei Shirov, and Emil Sutovsky. He was the sole winner of the Karabakh 2005 International "A" Tournament. In the Russian Team Championship, he scored +5 −0 =3 with an Elo performance rating of around 2850. In December he beat Ruslan Ponomariov of Ukraine in the final round to win the World Cup in Khanty Mansiysk, Russia. After a draw in two regular games, Aronian won both rapid games to win the event and emerge undefeated in seven rounds. In March 2006, Aronian took sole first place at the annual Linares chess tournament, half a point ahead of Teimour Radjabov and FIDE World Champion Veselin Topalov. He achieved unexpected victory by easily beating a somewhat demoralised Peter Leko with the black pieces in the final round. Aronian was ranked fifth in the world by FIDE at the time and had just won one of the most prestigious tournaments in the world he was considered an underdog in. This triumph, along with winning the World Cup last year, are considered the events that consolidated the young Aronian's place as one of the leading Grandmasters in the world. In 2006 he also tied for first in the Tal Memorial. The April–July 2006 FIDE rating list ranked Aronian the number three player in the world. Armenia won its first ever Chess Olympiad at the 37th Chess Olympiad. Aronian played on board one for the Olympiad. The Armenia national chess team won gold ahead of China and the United States. In January 2007, Aronian shared first place at the category 19 Corus chess tournament in Wijk aan Zee along with Veselin Topalov and Radjabov. All three had 8.5/13. In May 2007, he defeated World Champion Vladimir Kramnik 4–2 in a rapid chess match. His 2005 World Cup victory qualified him for the Candidates Tournament of the World Chess Championship 2007, scheduled for May–June 2007. In this tournament he played GM Magnus Carlsen, and they tied 3–3 in the initial six games, then 2–2 in rapid chess, and finally Aronian won 2–0 at blitz chess. In the finals, he defeated Shirov 3½–2½. This qualified him for the final stage of the championship, which was played in Mexico. There, he scored six points out of 14, finishing seventh out of eight players. In January 2008, he won the Corus chess tournament jointly with Magnus Carlsen, scoring 8/13. Both drew their final games against each other. In March 2008, he won the Melody Amber Blindfold/Rapid tournament held in Nice, France, 2½ points ahead of the nearest competitors. Apart from his first place win in the overall tournament, he also took sole first place in the rapid section of the tournament (winning by a margin of 1½ points) and shared first place in the Blindfold section with three other chess grandmasters: Kramnik, Morozevich, and Topalov. In June 2008, Aronian won the Karen Asrian Memorial Rapid chess tournament in Yerevan. He finished with 8½/14, ahead of Peter Leko. Peter Leko was winning throughout most of the tournament. Aronian took first in the final rounds. He won the Second FIDE Grand Prix in Sochi with enough points to win the Grand Prix even before the last event took place. Aronian defeated Alexander Grischuk in the final and finished with 8.5/13 points and a performance rating of 2816. Aronian won the 38th Chess Olympiad in Dresden with the Armenia national Chess team, winning gold for the second time in a row at a Chess Olympiad. Armenian President Serzh Sargsyan attended the Olympiad to support the team. After the Olympiad, they flew back to Armenia with him on the presidential plane, Air Force Armenia One. In March 2009, he won the 18th Melody Amber Blindfold/Rapid tournament held in Nice, France for the second time, scoring a combined 14 points in 22 games. In the same year he took clear first place with four wins, one draw, and one loss in the second Bilbao Masters. Aronian won the Fourth FIDE Grand Prix in April 2009 with a score of 8.5/13, one point ahead of Peter Leko and compatriot Vladimir Akopian. On 2 August 2009, Aronian won the World Rapid Chess Championship. After winning the Bilbao Chess Masters Final in September 2009, his FIDE rating was just four points behind number one ranked Viswanathan Anand. In November 2009, he competed in the Mikhail Tal Memorial, at the time the strongest tournament in history (in terms of average Elo, 2763). He finished fourth with 5/9, and in the final round beat World Champion Viswanathan Anand with the black pieces in just 25 moves. In December 2009, he was awarded the title of "Honoured Master of Sport of the Republic of Armenia". Aronian played in the FIDE Grand Prix 2008–2010, and won the Grand Prix with one tournament to go, qualifying him for the Candidates tournament for the World Chess Championship 2012. In August 2010, he attempted to defend the World Rapid Chess title, but lost to eventual champion American Gata Kamsky. In September 2010, Aronian played in the preliminary stage of the Bilbao Grand Slam in Shanghai against Vladimir Kramnik, Alexei Shirov, and Wang Hao, but could not qualify for the final tournament after losing to Kramnik in an Armageddon game after they drew the tiebreaker match. His next tournament was the Chess Olympiad, where he was Armenia's first board, leading them to a seventh-place finish, winning the silver medal on board one, and raising his rating to a career-high 2794. In November 2010, he finished shared first at the category XXI Tal Memorial. Following this tournament, he competed in the World Blitz Championship in Moscow, where he scored 24½/38 to win the title ahead of Teimour Radjabov and defending champion Magnus Carlsen; Aronian clinched the title with a round to spare. In January 2011, he tied for 3rd–4th with Magnus Carlsen in the 73rd Tata Steel Chess Tournament in Wijk aan Zee. In March 2011 in Monaco, he won the 20th and final Melody Amber Blindfold/Rapid tournament for the third time, scoring 15½ points in 22 games. Over his career, Aronian has a 5–1 record against Anand in classical chess. His high ranking and the fact that he was playing in the 2011 world championship Candidates tournament suggested that Aronian was a hot favorite for winning the title from Anand. However, Aronian suffered a setback by losing to Alexander Grischuk 2½–1½ in a quarter final rapid play tiebreaker following a 2–2 split in their regulation classical matches. In November 2011 Aronian played in the category 22 Tal Memorial in Moscow in a round robin with ten players. He won two games, against Ivanchuk and Svidler, and drew the rest. He tied for first with Magnus Carlsen, each scoring 5½/9. In January 2012, Aronian competed in the Tata Steel Chess Tournament in Wijk aan Zee; the field included world No. 1 Magnus Carlsen, defending champion Hikaru Nakamura, and former world champion Veselin Topalov, among others. The average rating of the field was 2755, making this thirteen-round event a category 21 tournament. After twelve rounds, Aronian was in clear first place with 8.5 points going into the final round, one point ahead of Carlsen and Teimour Radjabov. In the final round, Aronian drew against Radjabov with the white pieces in the King's Indian Defense. With the draw, Aronian finished with 9/13 (+5), a tournament performance rating of 2891, and took clear first place a point ahead of Carlsen, Radjabov and Fabiano Caruana. With Aronian again playing on board one, Armenia regained its Olympiad title at the 40th Chess Olympiad. The Bilbao Chess Masters Final 2012 took place in October. After losing an important game with Carlsen, Aronian came in third place. In December 2012, Aronian competed in the London Chess Classic, coming in 6th place with one win (vs Luke McShane), 5 draws and 2 losses. That same month, he won the SportAccord World Mind Games, a blindfold tournament, in Beijing. In the Tata Steel Chess Tournament in January, Aronian finished second with +5−1=7, behind Carlsen. Aronian played in the 2013 Candidates Tournament, which took place in London, from 15 March to 1 April. He finished fourth, with +5−3=6. In the 2013 Alekhine Memorial tournament, held from 20 April to 1 May, Aronian finished first, outplaying French GM Maxime Vachier-Lagrave and scoring a vital point in the final round, then edging out second-place Gelfand on the second tiebreak (number of wins). He scored +3−1=5. The sixth Grand Slam Chess Masters final was held on 7–12 October in Bilbao as a double round robin with four players. Aronian's opponents were Maxime Vachier-Lagrave, Shakhriyar Mamedyarov and Michael Adams. Aronian finished first, scoring +2−0=4 or 10 points according to the "football scoring system" that is traditionally used in the Grand Slam. 11 to 26 January: Aronian played in the 75th Tata Steel Chess Tournament in Wijk aan Zee, The Netherlands. In the 11-round tournament, he scored 8 points (+6−1=4), winning clear first 1½ points ahead of Anish Giri and Sergey Karjakin. From 29 January – 4 February 2014: Levon Aronian participated in the 2014 Zurich Chess Challenge, one of the major recurring chess supertournaments. He scored 9 points overall, placing him in tied 2nd-3rd along Fabiano Caruana. 13 to 31 March: He participated in the 2014 World Chess Championship challenger qualification tournament, the 2014 Candidates Tournament, in Khanty-Mansiysk Russia. He scored 6.5 points out of 14 points in the tournaments (-1 overall score) and finished tied second to last along with Peter Svidler. 2 to 13 June: He participated in the 2nd edition of the Norway Chess Supertournament. He scored 4 points out of 9 (-1 overall score) in a 4-way tie with Peter Svidler, Anish Giri, and Vladimir Kramnik. 15 to 22 June: He participated in the 2014 World Rapid and Blitz Chess Championships. 1 to 14 August: He participated in the 41st Chess Olympiad in Tromsø, Norway as a member of the Armenian team. 27 August to 7 September: He participated in the 2nd edition of the Sinquefield Cup in St. Louis Missouri, one of the strongest tournaments of all time. He scored 4 out of 10 points. Aronian began the year by playing in the Tata Steel Chess Tournament in Wijk aan Zee, Netherlands. He scored +1-3=9 (5.5 points out of a total of 13 points). In early-February, he played in the Grenke Chess Classic in Baden-Baden Germany, scoring 50% (3.5 out of 7 points). In mid-February, he played in the Zurich Chess Challenge 2015. He won the Blitz tournament, scoring 4 points out of 5, scored 4 points out of 10 in the Classical tournament (2 points for a win, 1 point for a draw, 0 points for a loss), and scored 3 points out of 5 in the Rapid tournament. He finished overall 4th in the tournament. In April to May 2015, he participated in the Russian Team Championship on the winning team Siberia. He participated in the Grand Chess Tour, a series of three super tournaments (Norway Chess, Sinquefield Cup, and London Chess Classic) in which players try to accumulate the most Grand Chess Tour points through the three tournaments. In Norway Chess, he scored 3 points out of 9 (9th place in the tournament). On 1 September 2015, he won the 3rd Sinquefield Cup, held in Saint Louis Missouri, US, with a +3 score and wins over Fabiano Caruana, Hikaru Nakamura, and Wesley So. This result put him back up into the world's Top 10. He played in the Chess World Cup 2015, a knockout chess tournament played in Baku, Azerbaijan. This tournament was one of the last remaining qualifiers for the Chess Candidates Tournament 2016 (winner and runner-up will qualify), which determined the challenger to Magnus Carlsen in the World Chess Championship 2016. He was eliminated in Round 2 by Grandmaster Alexander Areschenko. However, he qualified to play in the Candidates Tournament after he was selected by Armenian billionaire Samvel Karapetyan as the organizer's nominee. In October 2015, he participated in the World Rapid and Blitz Championship in Berlin, Germany. In the Rapid Championship, he placed 43rd overall, scoring 8.5/15 points. In the Blitz, he placed 11th overall, scoring 13.5/21 points. After the World Rapid and Blitz Championships, Aronian played in the European Chess Club Cup for Team Siberia Novosibirsk (from 18 to 24 October 2015). Team Siberia, which also included Vladimir Kramnik, Alexander Grischuk, Li Chao, Wang Yue, Anton Korobov, Dmitry Kokarev, and Dmitry Bocharov, won the event. Aronian himself scored 5 draws out of the 5 games he played in the event. In December 2015, Levon Aronian played in the final leg of the Grand Chess Tour, the London Chess Classic. In this particular individual tournament, he scored 5 points out of 9 (+1-0=8), with one victory against Veselin Topalov. Overall, he scored 22 Grand Tour Points out of a maximum 39 to earn himself a spot in the top 3 of the overall Tour standings, securing an invitation in the next Grand Chess Tour. In April 2017, Levon Aronian played in the Grenke Classic Tournament in Baden-Baden, Germany. In the 7-round tournament, he scored 5½ points (+4−0=3), winning clear first 1½ points ahead of Magnus Carlsen and Fabiano Caruana. On 16 June 2017, Aronian won the fifth edition of the Norway Chess Tournament (with a PR of 2918, and a full point ahead of nearest rivals), beating Magnus Carlsen, Vladimir Kramnik and Sergey Karjakin. In August 2017, Aronian placed joint-fourth out of ten players in the fifth edition of the Sinquefield Cup with a score of 5/9 (+3-2=4). On 18 August 2017, Aronian won the Saint Louis Rapid & Blitz with a score of 24.5/36. In September 2017, Aronian won the World Cup, and in doing so qualified for the Candidates Tournament for the 2018 World Chess Championship. In November 2017, Aronian won the gold medal for individual performance on board 1 with a 2810 TPR, 4.5/7 score (+2, =5) in the European Team Chess Championship. In the same month, he tied for first with Dmitry Jakovenko in the FIDE Grand Prix in Palma de Mallorca. In December 2017, Aronian took fifth place in the World Blitz Chess Championship in Riyadh, Saudi Arabia, with a score of +11-4=6 (14/21) including wins over Maxime Vachier-Lagrave and defending champion Sergey Karjakin. In January 2018, Aronian won the 16th Annual Gibraltar Chess Festival on tiebreaks, beating runner-up Maxime Vachier-Lagrave 2.5 - 1.5, with an overall record of +5-0=5 (7.5/10). From 31 March to 9 April 2018, Aronian competed in the 5th Grenke Chess Classic. He finished fifth with a score of 5/9 (+1–0=8). From 28 May to 7 June, he competed in the sixth edition of Norway Chess, placing sixth with 4/8 (+1–1=6). In August, he competed in the 6th Sinquefield Cup. He tied for first with Carlsen and Caruana on 5½/9 (+2–0=7), and jointly won the tournament after the trio decided to share the title. Aronian played for Armenia in the Chess Olympiads of 1996, 2004, 2006, 2008, 2010, and 2012. He took team bronze medal in 2004 and team gold medal in 2006, 2008 and 2012. In the 2010 Chess Olympiad he won the silver medal for his individual performance on board one. In the 2012 Chess Olympiad Aronian won the gold medal on board one. Aronian was a member of the gold-medal winning Armenian team at the World Team Chess Championship in 2011, where he won the silver medal on board one. Aronian again competed for Armenia in the 2013 World Team Chess Championship, where he won the gold medal on board one. Aronian broke the 2800 rating barrier in the November 2010 FIDE world ranking with a rating of 2801. He is the sixth player to cross the 2800 rating mark, after Garry Kasparov, Vladimir Kramnik, Viswanathan Anand, Veselin Topalov, and Magnus Carlsen. In 2003 Aronian won the Finet Chess960 open at Mainz; this qualified him for a match against Chess960 World Champion Peter Svidler at Mainz the following year, a match which he lost 4½–3½. He won the Finet Chess960 open tournament again in 2005 which earned him a rematch with Svidler in 2006, and won the match this time 5–3 to become Chess960 World Champion. In 2007, he successfully defended his title of Chess960 World Champion by beating Viswanathan Anand. He lost the title in 2009 to Hikaru Nakamura. Viswanathan Anand called Aronian "a very gifted tactician", and said that "He's always looking for various little tricks to solve technical tasks." In 2011, Boris Gelfand described Aronian as "the most striking player around, with the highest creative level, in terms both of openings and original ideas in the middlegame." In a 2010 conference, Alexei Shirov said: "Levon Aronian is the most successful player with an ultra-aggressive style. He achieves this result thanks to his rare intuition in the sharpest positions." In 2012, Sergey Karjakin, speaking about Aronian's style, made an analogy with football and compared him with Lionel Messi. As white, Aronian plays mainly 1.d4. According to Anand, "Though he opens with 1.d4, he treats these positions like an e4-player." Aronian is an expert in the Marshall Attack. In 2012, together with Gabriel Sargissian, Aronian founded a chess school in Yerevan, where the most talented chess players between the ages of 10 and 18 can study. Levon started dating Australian Woman International Master Arianne Caoili in 2008. The two announced they were engaged in February 2015 and got married on 30 September 2017 in Yerevan. They first met at the 1996 World Youth Chess Championships in Las Palmas and became friends in 2006 when their mutual friend International Master Alex Wohl introduced them in Berlin. His mother Seda Aronova published a book about her son on 22 November 2013, recounting her memories of Levon's childhood and accomplishments. Aronian is a jazz fan. His favorite musician is John Coltrane. His favorite classical composers include Bach, Bruckner, Mahler, Shostakovich. [Analysis by A. J. Goldsby] 1. d4 Nf6 2. c4 e6 3. Nc3 Bb4 4. Qc2 d5 5. cxd5 exd5 6. Bg5 c5!? 7. dxc5 h6 8. Bh4 g5 9. Bg3 Ne4 10. Bxb8!? 10.e3; 10.Be5 10... Qf6! 10...Rxb8?? 11.Qa4+ +− 11. Bg3 Nxc3 12. a3 Bf5! 13. Qd2 Ba5 14. b4? Ne4 15. Qc1 Rc8!! 16. Ra2?! Rxc5 17. Qa1 (see diagram) Qc6! The threat of back-rank mate is crushing. 18. Qe5+ Kd8 19. Qxh8+ Kd7 0–1 If 20.e3, 20...Rc1+ 21.Ke2 Bg4+! and 22...Qc4#. ^ "Player transfers in 2003". FIDE. Retrieved 31 October 2017. ^ "Player transfers in 2004". FIDE. Retrieved 31 October 2017. ^ "Top 100 Players May 2012". FIDE. Retrieved 1 May 2012. ^ Bartelski, Wojciech. "Men's Chess Olympiads: Levon Aronian". OlimpBase. Retrieved 24 January 2011. ^ Scimia, Edward. "World Championship Candidate Levon Aronian". about.com. Retrieved 23 June 2014. ...for the last decade [...] leading Armenia to victory in team competition and being constantly in the World Championship discussion. ^ "Players 2013". Norway Chess. Retrieved 23 June 2014. Aronian is a major celebrity in his chess-loving home country. ^ Davies, Caroline; Pein, Malcolm (7 June 2006). "Pawn queens". The Daily Telegraph. Retrieved 25 August 2013. And Mr Aronian enjoys a similar level of hero-worship to, say, David Beckham. ^ "Aronian Presented World Cup to Armenian Community of Khanty-Mansiysk". Armtown.com. 22 December 2005. Archived from the original on 27 September 2011. Retrieved 24 January 2011. ^ "Levon Aronyan awarded St. Mesrop Mashtots Order". Mediamax.am. Retrieved 31 October 2017. ^ McKenzie, Sheena (1 February 2016). "Pawn star: How the 'David Beckham of chess' became a national hero". CNN. Retrieved 9 November 2017. ^ a b Lawson, Dominic (11 March 2014). "Armenian Exceptionalism". Standpoint. Archived from the original on 2 April 2015. Retrieved 15 March 2017. ^ Edmonds, David (8 December 2009). "The lion and the tiger". Prospect. Retrieved 19 October 2013. ^ "KC-Conference with Levon Aronian Part 2". Crestbook. 24 July 2011. Retrieved 1 August 2011. ^ Aronian, Levon (26 January 2012). Levon Aronian shows his win against Anish Giri. Doggers, Peter. Event occurs at 14:50. Retrieved 9 November 2017. ^ "KC-Conference with Levon Aronian Part 2". Crestbook. 24 July 2011. Retrieved 9 November 2017. ^ "The chess games of Levon Aronian". ChessGames.com. Retrieved 19 February 2012. ^ Oganessian, Gaguik. "All Champions of Armenia". Armchess. Archived from the original on 20 January 2012. Retrieved 1 August 2009. ^ "41st World Junior Ch January 2003 India". FIDE. Retrieved 17 December 2011. ^ "Candidates – Levon Aronian (2809 – World #3)". ChessBase.com. 13 March 2013. Retrieved 22 May 2013. ^ "FIDE WCC R3-2 Another favorite exits". ChessBase.com. 25 June 2004. Retrieved 17 December 2011. ^ Crowther, Mark (7 February 2005). "The Week in Chess 535". London Chess Center. Archived from the original on |archive-url= requires |archive-date= (help). Retrieved 26 January 2012. ^ "The Week in Chess". Chesscenter. Retrieved 20 October 2011. ^ "World Chess Cup 2005 Results". FIDE. Retrieved 13 October 2011. ^ "Linares 2006 Tournament". ChessGames.com. Retrieved 11 December 2017. ^ "Linares R14: Levon Aronian wins Morelia/Linares Super-GM". ChessBase.com. 11 March 2006. Retrieved 22 May 2013. ^ "FIDE Top lists records, Aronian". Ratings.fide.com. Retrieved 20 October 2011. ^ "Olympiad R12: Armenia leads, China or Russia for Silver". ChessBase.com. 4 June 2006. Retrieved 22 May 2013. ^ "Corus Chess Tournament – Grandmaster A April 2007 Netherlands". FIDE. Retrieved 13 October 2011. ^ "Wijk R13: Aronian, Topalov and Radjabov tie for first". ChessBase.com. 28 January 2007. Retrieved 22 May 2013. ^ "WCCTournament 2007. Mexico City – Results and Pairings". Chess.co.uk. Archived from the original on 12 October 2012. Retrieved 13 October 2011. ^ "Wijk R13: Aronian, Carlsen win Wijk aan Zee 2008". ChessBase.com. 27 January 2008. Retrieved 27 January 2008. ^ "Karen Asrian Memorial (2008)". ChessGames.com. Retrieved 13 October 2011. ^ "Asrian Memorial: Aronian catches Leko in the final rounds". ChessBase.com. 15 June 2008. Retrieved 22 May 2013. ^ "Sochi R13: Aronian wins Second FIDE Grand Prix". ChessBase.com. 14 August 2008. Retrieved 22 May 2013. ^ "Olympiad R11: Armenia wins Gold, Israel second". ChessBase.com. 25 November 2008. Retrieved 22 May 2013. ^ "Olympiad in Dresden: Closing ceremony and prize giving". ChessBase.com. 29 November 2008. Retrieved 22 May 2013. ^ Crowther, Mark (12 September 2009). "TWIC: 2nd Bilbao Masters 2009". London Chess Centre. Archived from the original on 1 April 2012. Retrieved 30 November 2017. ^ "Nalchik R13: Levon Aronian wins Fourth FIDE Grand Prix". ChessBase. 29 April 2009. Retrieved 22 May 2013. ^ "Chess Classic: Aronian wins final in smooth style". ChessBase News. 2 August 2009. Retrieved 9 February 2013. ^ "Bilbao Masters: Aronian wins Grand Slam Final". ChessBase. 13 September 2009. Retrieved 22 May 2013. ^ "Kramnik: I am counting on regaining the world title". Chessbase. 17 November 2009. Retrieved 19 May 2010. ^ "High Titles of Olympic Champions". Armchess. 19 December 2009. Retrieved 19 December 2009. ^ "Chess Classic Mainz – Kamsky wins with 10.0/11 points". Chessbase. 8 August 2010. Retrieved 20 October 2011. ^ "39th Olympiad Khanty-Mansiysk 2010, Open tournament, Board-prizes". Chess Results. 10 September 2010. Retrieved 29 March 2011. ^ "Tal Memorial Aronian and Karjakin win the title". ChessBase. 14 November 2010. Retrieved 17 December 2011. ^ "Aronian wins World Blitz Championship". ChessBase News. 18 November 2010. Retrieved 9 February 2013. ^ "The Week in Chess: 73rd Tata Steel Chess Tournament 2011". Chess. Archived from the original on 12 October 2012. Retrieved 24 March 2011. ^ "Amber 2011: Aronian claims third Amber victory in farewell edition". ChessBase News. 24 March 2011. Archived from the original on 20 October 2013. Retrieved 30 November 2017. ^ Nandanan, Hari Hara (26 March 2011). "Armenian threat for Anand now". India Times. Retrieved 1 April 2011. ^ "Carlsen catches Aronian in last round, wins Tal Memorial on tiebreak". ChessVibes. Archived from the original on 27 March 2014. Retrieved 31 January 2012. ^ "Participants – Tata Steel Chess". Tata steel chess. Archived from the original on 6 February 2012. Retrieved 29 January 2012. ^ Crowther, Mark (28 January 2012). "Aronian beats Gelfand in wild game to secure at least share of Tata Steel title". Chess.co.uk. Archived from the original on 4 September 2012. Retrieved 29 January 2012. ^ "Levon Aronian Wins Tata Steel 2012". Chessdom. 29 January 2012. Retrieved 29 January 2012. ^ "Wijk aan Zee Rd13 Aronian is sole winner!". ChessBase.com. 29 January 2012. Retrieved 29 January 2012. ^ "2012 Chess Olympiad Istanbul: Armenia, Russia win Gold". ChessBase.com. 9 September 2012. Retrieved 22 May 2013. ^ "Bilbao Rd10: Carlsen takes title in blitz tiebreak". ChessBase. 14 October 2012. Retrieved 22 May 2013. ^ "Carlsen wins 4th London Chess Classic". ChessVibes. Retrieved 19 October 2013. ^ "Aronian and Hou Yifan win blindfold in Beijing". ChessBase. 20 December 2012. Retrieved 22 May 2013. ^ Doggers, Peter (27 January 2013). "Tata R13: Carlsen wins by 1½ points, Naiditsch first on tie-break in B, Brunello clear first in C". ChessVibes. Retrieved 6 April 2013. ^ "Bilbao Final Aronian is the victor". ChessBase. 12 October 2013. Retrieved 17 October 2013. ^ "Standings of Tata Steel Masters". TataSteelChess.com. Archived from the original on 28 January 2014. Retrieved 26 January 2014. ^ Crowther, Mark. "Zurich Chess Challenge 2014". The Week in Chess. Retrieved 1 December 2017. ^ "World Chess Championship Candidates (2014)". ChessGames. Retrieved 1 December 2017. ^ Crowther, Mark. "FIDE World Rapid and Blitz Championships 2014". The Week in Chess. Retrieved 1 December 2017. ^ "41st Chess Olympiad: China and Russia claim gold!". FIDE. 15 August 2014. Retrieved 1 December 2017. ^ "Sinquefield Cup (2014)". ChessGames. Retrieved 2 December 2017. ^ Crowther, Mark. "77th Tata Steel Masters 2015". The Week in Chess. Retrieved 1 December 2017. ^ "GRENKE Chess Classic (2015)". ChessGames. Retrieved 2 December 2017. ^ "Zurich Chess Challenge_ Caruana, Nakamura, Anand, Kramnik, Aronian, Karjakin". Chess-News. Retrieved 2 December 2017. ^ McGourty, Colin (7 May 2015). "Russian Teams 4-7: Siberia power to victory". chess24.com. Retrieved 31 October 2017. ^ "Norway Chess (2015)". ChessGames. Retrieved 3 December 2017. ^ "World Cup (2015) (games of Levon Aronian)". ChessGames. Retrieved 2 December 2017. ^ Crowther, Mark. "World Rapid and Blitz Chess Championships 2015". The Week in Chess. Retrieved 1 December 2017. ^ "European Club Cup 2015 - Open". Chess-Results. 24 October 2015. Retrieved 1 December 2017. ^ "Grenke Classic 2017: Aronian misses win in exciting finale". ChessBase. Retrieved 26 April 2017. ^ Yermolinsky, Alex. "Levon Aronian wins Norway Chess 2017!". ChessBase. Retrieved 18 June 2017. ^ "5th Sinquefield Cup 2017". The Week in Chess. Retrieved 26 November 2017. ^ "Saint Louis Rapid & Blitz 2017". The Week in Chess. Retrieved 26 November 2017. ^ Doggers, Peter. "Levon Aronian Wins 2017 FIDE World Cup". Chess.com. Retrieved 28 September 2017. ^ "European Team Chess Championship 2017 - Individual Prizes". Euroteams2017.com. Retrieved 8 November 2017. ^ Silver, Albert. "FIDE GP in Palma: Jakovenko and Aronian share first!". Chessbase. Retrieved 26 November 2017. ^ "World Blitz Championship (2017)". Chessgames. Retrieved 3 January 2018. ^ "Aronian wins Gibraltar Chess in Playoff" Chess.com. 1 February 2018. Retrieved 20 February 2018. ^ Bartelski, Wojciech. "Men's Chess Olympiads: Levon Aronian". OlimpBase. Retrieved 7 October 2010. ^ "2010 Chess Olympiad Statistical overview". ChessBase News. Retrieved 7 October 2010. ^ "World Team Ch. – Armenia gold, China silver, Ukraine bronze". ChessBase News. 27 July 2011. Retrieved 27 July 2011. ^ "Top 100 Players November 2010 – Archive". FIDE. Retrieved 25 November 2011. ^ "Levon Aronian winner of the FiNet CHess960 Open!". Chess Tigers. 12 August 2005. Retrieved 10 June 2011. ^ "Chess Classic Anand and Aronian win Mainz". ChessBase.com. 21 August 2006. Retrieved 10 June 2011. ^ "Mainz 2007 – Aronian wins Chess960 world championship". ChessBase.com. 17 August 2007. Retrieved 10 June 2011. ^ "Chess Classic Nakamura wins 960 World Championship". ChessBase.com. 31 July 2009. Retrieved 10 June 2011. ^ a b "Anand: Every year I keep my fingers crossed". Chessbase News. Archived from the original on 20 October 2013. Retrieved 19 October 2013. ^ "Anand's WhyChess interview". Chess in translation. 11 May 2012. Retrieved 19 October 2013. ^ "Boris Gelfand: With shining eyes (Part 2)". WhyChess. Archived from the original on 20 October 2013. Retrieved 19 October 2013. ^ "KC-Conference with Alexei Shirov". Crestbook.com. 1 November 2010. Retrieved 14 December 2017. ^ "Аналогия Сергея Карякина: Аронян - Месси, а Карлсен - Роналду". Chess-News.ru. 21 November 2012. Retrieved 14 December 2017. ^ "Chess Opening Explorer". 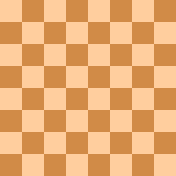 Chessgames. Retrieved 19 October 2013. ^ "Carlsen stops Ivanchuk, Anand held". The Times of India. Retrieved 19 October 2013. ^ "Aronian and Sargissian open chess school". Chessdom. 13 February 2012. Retrieved 30 October 2017. ^ a b "Levon Aronian's girlfriend happy for engagement". armenpress.am. Retrieved 21 September 2017. ^ "I am not so stupid to play against Levon Aronian - Arianne Caoili". NEWS.am Sport. 22 August 2012. Retrieved 30 September 2017. ^ "Levon Aronian's mother tells about her son in the newly published book". Armenpress. 23 November 2012. Retrieved 22 May 2013. ^ Martirosyan, Vera (4 March 2013). "Interview with Levon Aronian: I am proud to be Armenian". NEWS.am Sport. Retrieved 22 May 2013. ^ Williams, Sean (29 July 2017). "A Chess Master with an Unpredictable Style and the Hopes of a Nation". The New Yorker. Retrieved 9 November 2017. ^ Krabbé, Tim. "Open chess diary 301–320". Tim Krabbé's Chess Curiosities. Retrieved 13 October 2011. ^ "Internet Archive Wayback Machine". Web archive. 28 October 2009. Archived from the original on 28 October 2009. Retrieved 20 October 2011. ^ "Sokolov vs. Aronian, Turin 2006". Chessgames.com. Wikimedia Commons has media related to Levon Aronian.